No HOA and No CDD say goodbye to monthly fees. 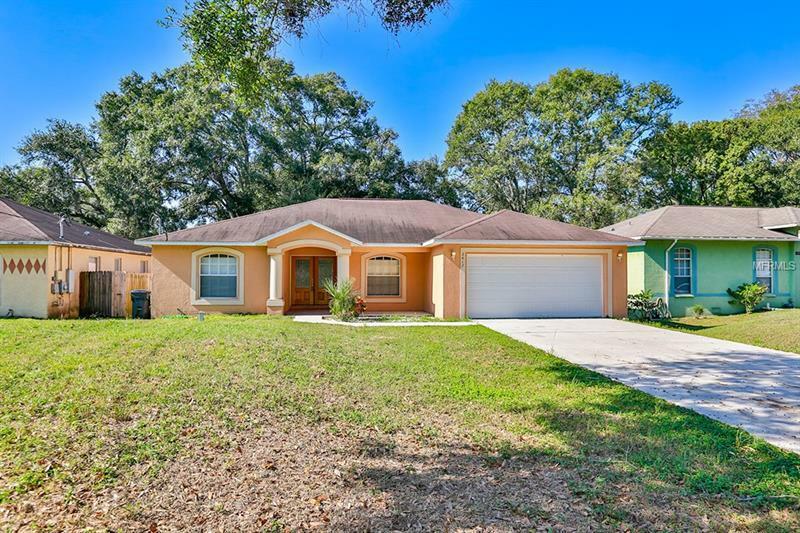 This home offers 3/2 and is located within minutes to the Selmon Expressway and many shopping centers like Walmart. Do not delay, come see for yourself this home has it all! The front double door welcomes you home as you walk into an open floor plan with high ceilings. Also, this house has the perfect kitchen area for family gatherings and kitchen has a pantry. Nice back yard with screened-in lanai, perfect for fun family nights. The master bedroom offers walk in closet. Plenty of linen closet throughout. Two car Garage plus mature landscape. Don't wait and have this home pass you by! Call for your appointment.